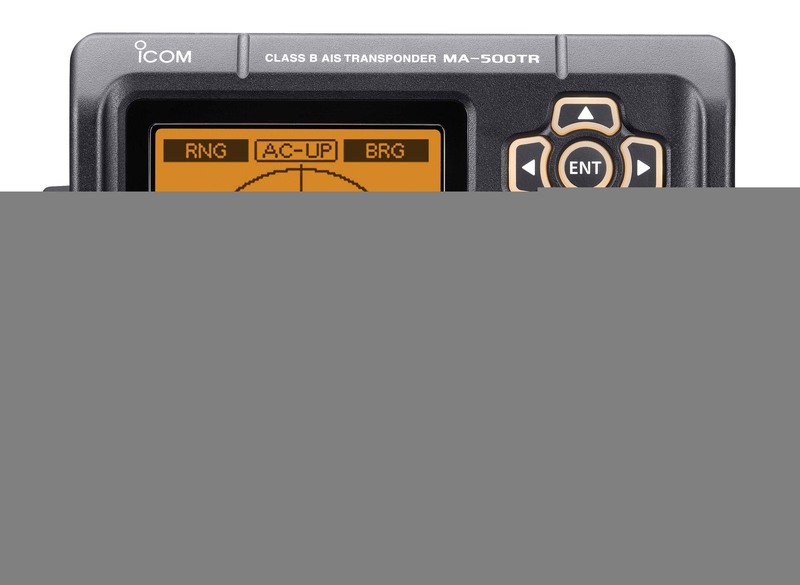 MarineCommander is Icom's marine navigation system, which integrates various marine modules such as a fish finder, marine radar, AIS and VHF transceiver into the multi-function displays (MFD). Up to two MFDs can be connected to a main processor unit (MPU) and support separate dual display operation. If connecting two MarineCommander MPUs over a data cable, up to four MFDs can be used and the connected modules (E.g. fish finder, radar) can be shared with the other MFDs. The MarineCommander allows you to connect two MFDs simultaneously. 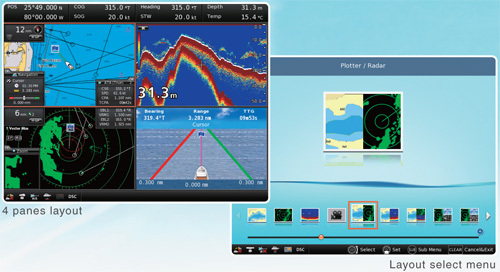 All connected modules including chart data, fish finder and marine radar can be shared with two MFDs and provide separate operation. The MFD can be installed in up to 20m (65.6 ft.)* away from the MPU. 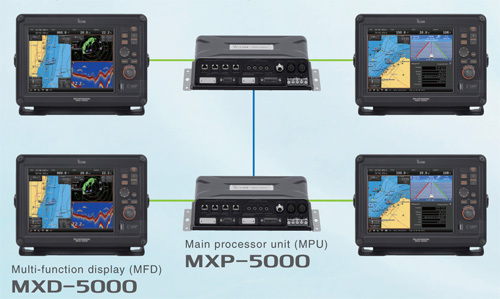 When connecting two Marine Commanders via a data cable, up to four displays can be used and C-MAP data can be shared in the system. *Three optional EX-3187 extension cables are required. The MFD has 69.2mm (2.7 in.) slim dimensions and is light-weight for easy flush mount installation. The MFD has IPX7 submersible construction, protecting it from water intrusion. The MFD can be connected with a main processor unit (MPU) using a single cable connection and power supplied via the MPU. The 12.1 inch size MFD provides 800 x 600 pixels resolution. The 900cd/m2 high brightness, color LCD with anti-reflecting surface coating glass offers bright, vivid indication in detail, even under direct sunlight. The color palette is selectable for day and night mode. 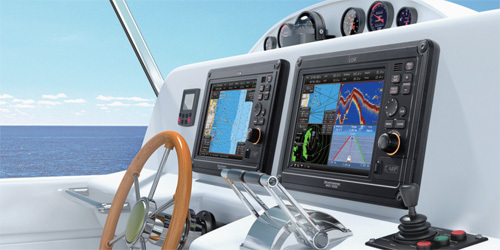 The MarineCommander offers a simple graphical user interface and intuitive operation with minimum buttons and rotary knob. The display layout can be split into up to 4 panes and easily customized layout with a simple operation. The MarineCommander is compatible with the C-MAPTM MAX chart by JEPPESEN in an SD card format*. The MarineCommander provides quick and fast responding rendering performance. The C-MAPTM MAX chart provides guardian alarm, route-check, perspective view and port database for your safe and easy navigation. *Chart data not supplied from Icom.